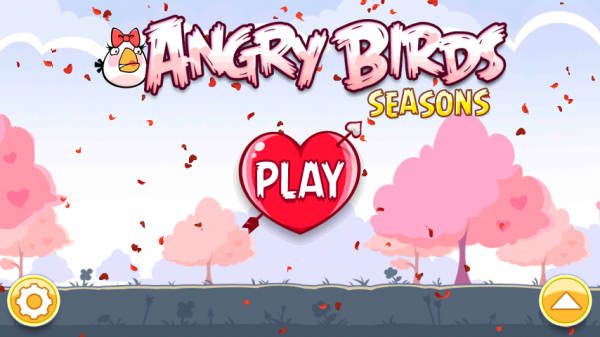 [SHOCKING] ANGRY BIRDS SEASON GETS AN UPDATE FOR… VALENTINES DAY! What a concept right? Not sure why but apparently with every Android news site it’s a huge ordeal for example: 1. Droid-Life, 2. AndroidCentral, and I’m sure there will be a third a fourth and a fifth so why don’t we go ahead and get in the mix of this clearly ground breaking news. Now I know this may be hard to believe but Angry Birds SEASONS has been updated for well another “season”. Valentine’s Day has added several new levels (15), 3 unlockables, and some special golden eggs… well wasn’t that just… well… suspected. This is not news, this is common knowledge. Anyone who is addicted to Angry Birds plays Angry Birds Seasons, which should actually be called Angry “Birds Holidays” considering the fact that Valentine’s Day, Halloween, and Christmas are as much “Seasons” as my birthday. I fully expect to see an Angry Birds Season update revolving around my birthday filled with levels of me! Anyway, unless Angry Birds does something drastic like making a theme park ride dedicated to the game that cures cancer if you ride it, you will not see another post from myself concerning this mediocre topic of so called news.